Facebook is no longer a social network that needs to be defined, as it has educational uses, which are constantly evolving. In this article, we will give you a set of ideas and methods that will enable you to use and benefit from Facebook in education. 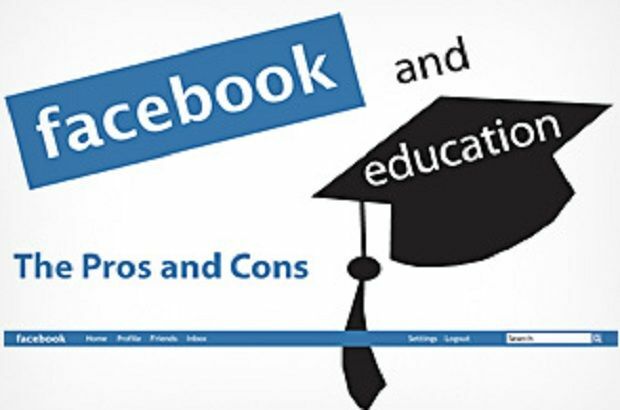 Why use Facebook in education? How do we use Facebook as an educational tool? It is the first thing that comes to mind when using Facebook, a page related to a particular subject (eg, a historical figure), and students search for and add information about it. Facebook is an opportunity and a highly appropriate tool that teachers can invest in supporting collaborative learning. Students are divided into groups, each of which is available on a Facebook page or group on their own. The members of each group coordinate through the same network to accomplish the task they have been assigned, whether they are in research, providing answers or otherwise. We note that this method also fits project-based learning. 3. Take advantage of the tool "Places "
This is a tool that can be employed to locate specific countries or regions and is an opportunity to make learners deal with maps, such as locating nearby places and even neighboring countries. It is a tool that can be accessed here. -Create a special group or page related to a subject or topic of education for students of a class or a certain stage, and then invites students to participate in the exchange of information and ideas, and the dissemination and exchange of links to websites and pages and videos and pictures and everything related to the subject or article. -After each lesson, the teacher can use Facebook and add annotations, notes or reviews that did not meet the time of the lesson to be dealt with. -Students comment on an image, publication, or video related to a particular lesson, a feature that can be used to identify learner representations about specific instructional content that a teacher may be preparing. -Facebook as a means of discussion and exchange of ideas both before and after the course. -Facebook as a way to maintain the relationship between graduates of a certain regiment to maintain communication and continue to self-development and learning. 6. Take advantage of the tool "Events"
It is a feature provided by Facebook, which the teacher can use to alert, for example, the date of testing or the date of bringing a certain duty or the time of completion of a task. Through Facebook, students can join groups or admire pages related to language learning and have the opportunity to communicate with native speakers of the language to be learned, let alone take advantage of the educational content provided by these groups and pages. In addition to the possibility of utilizing Facebook applications designed for this purpose such as application. In addition to many other networks, Facebook has an opportunity to diversify the teaching methods and learning platform through which to use many modern strategies in teachings, such as problem-solving, project-based learning, brainstorming, discovery learning, and others. It is a way to deal with different types of media, files, tools, and environments necessary for modern teaching methods. The teacher asks the students to present their ideas and information about a specific subject or project so that they can be invested later in the course. Where teachers on Facebook can follow up on their specialty and stay in touch with colleagues from around the world. The site provides a large number of educational games and applications that are recommended to employ in order to entice students in the study and access to learning more fun. Feedback is of great importance to learners. They are required to install the correct information, correct it if it is wrong, and Facebook is a very appropriate tool for this, whether through comments, posts or admiration, it keeps the communication (synchronous and asynchronous), which affects students positively. Students' views may differ on a particular subject, requiring a decision. In this case, and in keeping with the spirit of democracy that should prevail in our classrooms and to increase communication, the teacher can use the voting feature provided by Facebook. In conclusion, the methods and ideas above are not the only ones to use Facebook as an educational tool. Ideas are difficult to define. Creativity is always open, especially in light of the technology that surrounds us from all sides.